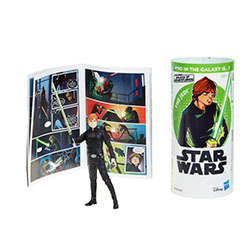 Rebelscum.com: Hasbro: Introducing Star Wars Galaxy Of Adventures Figures! 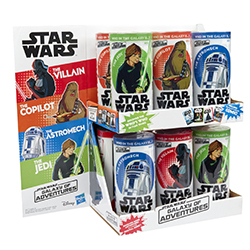 Hasbro: Introducing Star Wars Galaxy Of Adventures Figures! 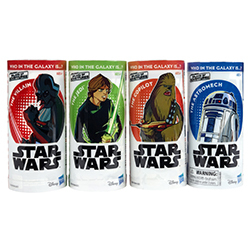 Hasbro's Star Wars Galaxy Of Adventures line is new way for kids to collect the main heroes of the Star Wars saga, as well as a new format for collectors to grab a few figures they may have missed. 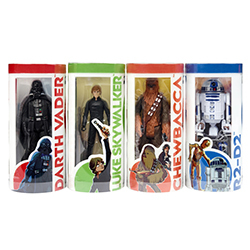 The line is comprised of repacks of recently released figures in a new plastic tube package. 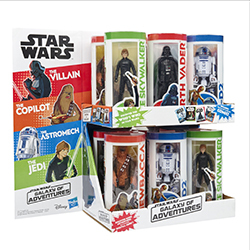 Each 3.75-inch figure features a mini comic and QR code for young Padawans to learn more about their favorite characters. These figures will be available exclusively at Walmart on December 1st and then nationwide in January 2019. 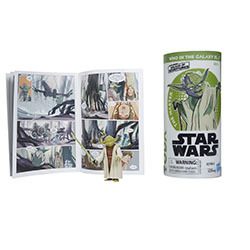 STAR WARS fans new and old can discover the exciting action from a galaxy far, far away with figures and more from STAR WARS GALAXY OF ADVENTURES! Learn about the most iconic characters from the STAR WARS movies or scan the included QR code to join in on the adventures of fan favorites like DARTH VADER, HAN SOLO, PRINCESS LEIA, LUKE SKYWALKER, and more! 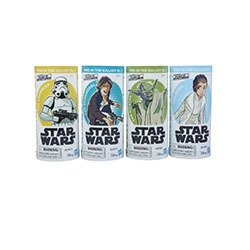 With STAR WARS GALAXY OF ADVENTURES, the galaxy far, far away comes home! DARTH VADER is a Sith lord who uses the powers of the Dark side to battle Rebel forces and help the evil Galactic Empire keep control of the galaxy. 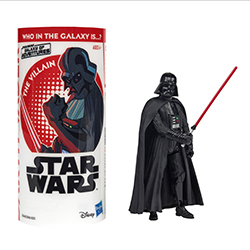 Learn about DARTH VADER and other STAR WARS characters with figures from GALAXY OF ADVENTURES. 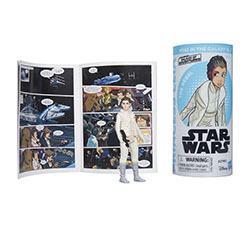 Each pack contains 1 3.75-inch figure, 1 mini comic, and 1 QR code that kids can activate with your smart device to discover more stories online about the character! 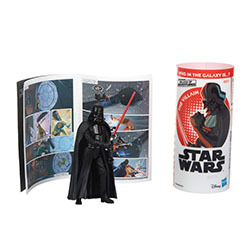 Includes figure, accessory, mini comic, and digital code. Available exclusively at Walmart. A farm boy from Tatooine, LUKE SKYWALKER becomes a hero when he trains as a Jedi and uses the Force to help save the galaxy. 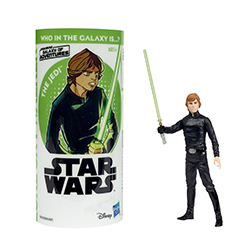 Learn about LUKE SKYWALKER and other STAR WARS characters with figures from GALAXY OF ADVENTURES. Each pack contains 1 3.75-inch figure, 1 mini comic, and 1 QR code that kids can activate with a smart device (smart device not included) to discover more stories online about the character! 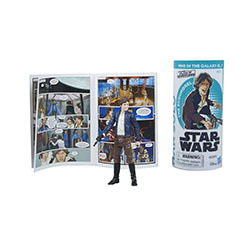 Includes figure, accessory, mini comic, and digital code. Available exclusively at Walmart. 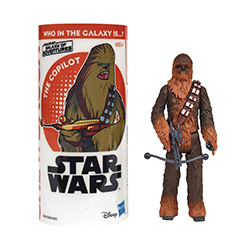 CHEWBACCA is a legendary Wookiee warrior and the loyal copilot of the Millennium Falcon, one of the fastest ships in the galaxy. 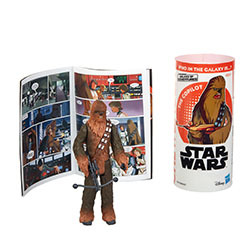 Learn about CHEWBACCA and other STAR WARS characters with figures from GALAXY OF ADVENTURES. Each pack contains 1 3.75-inch figure, 1 mini comic, and 1 QR code that kids can activate with a smart device (smart device not included) to discover more stories online about the character! 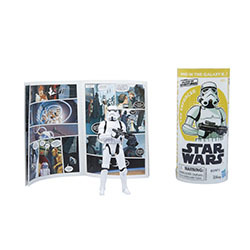 Includes figure, accessory, mini comic, and digital code. Available exclusively at Walmart. A loyal droid and skilled starship mechanic, R2-D2 witnesses some of the galaxy's greatest battles as he serves alongside legendary pilots and rebels. 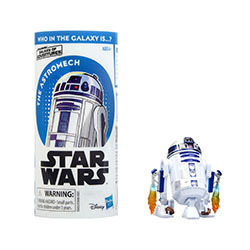 Learn about R2-D2 and other STAR WARS characters with figures from GALAXY OF ADVENTURES. Each pack contains 1 3.75-inch figure, 1 mini comic, and 1 QR code that kids can activate with a smart device (smart device not included) to discover more stories online about the character! Includes figure, 2 accessories, mini comic, and digital code. Available exclusively at Walmart. More than just a princess, LEIA is one of the greatest leaders in the galaxy and joins the Rebel forces in their efforts to defeat the evil Galactic Empire. 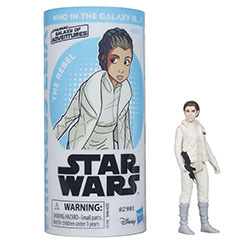 Learn about PRINCESS LEIA and other STAR WARS characters with figures from GALAXY OF ADVENTURES. Each pack contains 1 3.75-inch figure, 1 mini comic, and 1 QR code that kids can activate with a smart device (smart device not included) to discover more stories online about the character! Includes figure, mini comic, and digital code. Available exclusively at Walmart. A Jedi master and mentor to many Jedi in training, YODA proves through his impressive use of the Force that one should never judge another's power based on size alone. 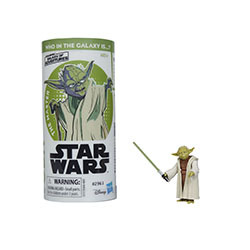 Learn about YODA and other STAR WARS characters with figures from GALAXY OF ADVENTURES. Each pack contains 1 3.75-inch figure, 1 mini comic, and 1 QR code that kids can activate with a smart device (smart device not included) to discover more stories online about the character! Includes figure, mini comic, and digital code. Available exclusively at Walmart. 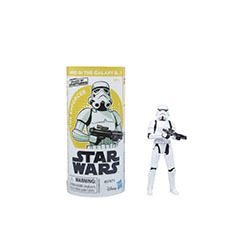 STORMTROOPERS are the blaster-carrying soldiers of the Empire whose biggest mission is to destroy the Rebellion and protect the Imperial cause. Learn about an IMPERIAL STORMTROOPER and other STAR WARS characters with figures from GALAXY OF ADVENTURES. Each pack contains 1 3.75-inch figure, 1 mini comic, and 1 QR code that kids can activate with a smart device (smart device not included) to discover more stories online about the character! 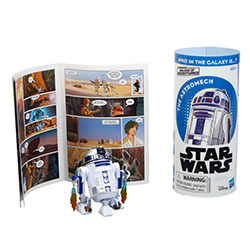 Includes figure, mini comic, and digital code. Available exclusively at Walmart. A smuggler and a scoundrel, HAN SOLO proves that he can also be a hero when he rescues his friends and helps in the Rebellion against the Galactic Empire. 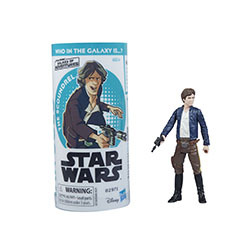 Learn about HAN SOLO and other STAR WARS characters with figures from GALAXY OF ADVENTURES. Each pack contains 1 3.75-inch figure, 1 mini comic, and 1 QR code that kids can activate with a smart device (smart device not included) to discover more stories online about the character! Includes figure, mini comic, and digital code. Available exclusively at Walmart. Star Wars Galaxy of Adventures is a new series of animated shorts that will introduce the classic themes, pivotal moments, and iconic characters from the Star Wars saga to the next generation. The first six shorts debuted today on the newly created Star Wars Kids Website (www.StarWarsKids.com) and YouTube channel (www.YouTube.com/StarWarsKids), with additional shorts debuting in December and then on a weekly basis starting in 2019.